THE Wafi-Golpu mine in Morobe, Frieda River in East Sepik and the Papua LNG Project in Gulf will benefit a lot of people and the Government when they start. Prime Minister Peter O’Neill (pictured) told the FM100 radio talkback show last week that developers Harmony and Newcrest had submitted their licence development plans to Mineral Resources Authority and Department of Mining. “Our team is now processing that licence. “I’m certain that once we come back after the general election, we will issue them their development licences. 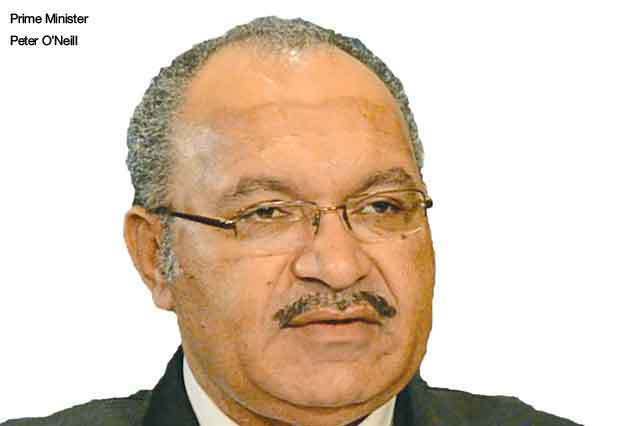 “It is certainly a world-class deposit and I’m certain that it will bring in immense benefits not only to Morobe but also to Papua New Guinea and provide employment for people living in and around the mining communities. “Also professionals around the country can also benefit from the employment opportunities. O’Neill said Frieda River, after many years of discussions, had submitted a development licence application which was being processed by the Government. The Frieda River project will be the first major large-scale resource project in East and West Sepik. This project should be the catalyst to grow other sustainable economies of the Sepik region. “We are certain that we will approve that right after the election and certainly before the end of the year,” he said. On the PNG Gas Project, he said it must be done on commercial terms, which must be properly discussed by all stakeholders. “We have not reached that position yet,” O’Neill said.